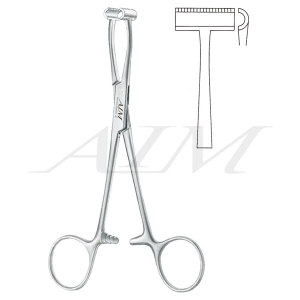 Pennington Grasping Forceps are ratcheted, finger ring forceps used for grasping tissue in a variety of surgical sites. 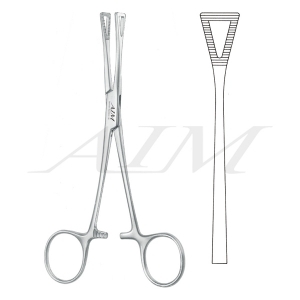 The fenestrated, triangular tips are serrated to provide a firm hold on tissue. 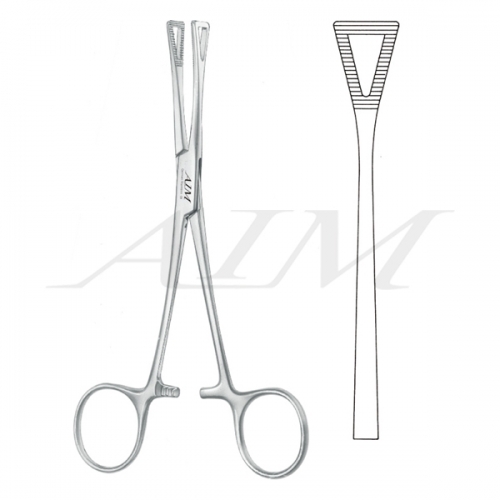 They are commonly used for holding tissues that have been cut as part of a surgical process, that need to be sutured or for hemostasis.